Berndt Freuerbacker. Apologetic. Photo c/o IAF. The Canadian Press is reporting on "an apparent refusal to grant visas to the most senior Russian and Chinese delegates at a prestigious international astronautical conference." The 65th International Astronautical Congress (IAC2014), which began today in Toronto, Ontario, traditionally includes the participation of the heads of the largest national space agencies, including International Space Station (ISS) partner Russia and growing space powerhouse China, which has space cooperation agreements with Brazil, Chile, France, Germany, India, Italy, Pakistan, Russia, Ukraine, the United Kingdom, the United States, and other countries. But according to the September 29th, 2014 Canadian Press article, "No visas for heads of Russian, Chinese space agencies to attend major conference," senior members of both the Chinese and Russian delegation were refused entry into Canada to participate in the event. James Moore. Left early. Photo c/o HuffPo. IAC2014 was expected to include the participation of both Denis Lyskov, the government secretary and deputy head of the Russian Federal Space Agency (ROSCOSMOS) and Xu Dazhe, the administrator of the China National Space Administration (CNSA). But neither attended the sessions and neither seemed able to send replacements. 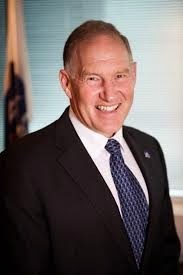 According to International Astronautical Federation (IAF) past president Berndt Feuerbacher, who was moderating a session featuring the heads of several other space agencies, "they were foreseen to be here with us, they have been with us in the past, and they will be with us in the future." “It is just unfortunate, due to problems especially in the visa area, that we couldn't have these delegations here. I apologize for this,” he said. Walt Natynczyk. Perplexed. Photo c/o author. Attending the event were Charles Bolden, the administrator of the National Aeronautics and Space Administration (NASA), Jean-Jacques Dordain, the director general of the European Space Agency (ESA), Francisco Javier Mendieta, the head of the Agencia Espacial Mexicana, Walter Natynczyk, the president of the Canadian Space Agency (CSA), Naoki Okumura, the president of the Japan Aerospace Exploration Agency (JAXA) and K. Radhakrishnan, the chairman of the Indian Space Research Organisation (ISRO). 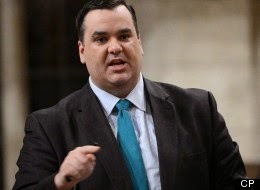 Industry Minister James Moore, who gave a presentation earlier in the day at the IAC 2014 opening ceremonies, was unavailable for comment. CSA president Natynczyk was also at a loss to explain what had happened and said he said he had only been alerted to the problem over the last forty eight hours. “Before I come to any conclusions, I would like to know exactly how it transpired,” he said. Natynczyk did offer a "tip of the hat" to the organizers of the event, which included Geoffrey Languedoc, the executive director of the Canadian Aeronautics and Space Institute (CASI), Ron Holdway, the chair of the IAC2014 organizing committee and Virendra Jha, the co-chair of the international program committee. Anyone looking to discover what the people at the Canadian Space Agency (CSA) would like to be doing over the next few years might want to forgo some of the marketing and PR events scheduled during the 65th International Astronautical Congress (IAC2014), being held in Toronto, Ontario from September 29th - October 3rd, and head directly to the symposium presentations. For those of us who'd prefer a little less hard to digest substance in our IAC experience, on September 30th, CSA astronauts Jeremy Hansen and David Saint-Jacques "will go head to head in a thrilling space race that will bring them to space organizations around Toronto," as part of the CSA contribution to IAC 2014. For more information, check out the September 6th, 2014 CSA press release "Tweetup Activity – The Amazing Canadian Space Race." The CSA will also be hosting a networking breakfast for 11 graduate and post-graduate students on the same day. Photo c/o CSA. 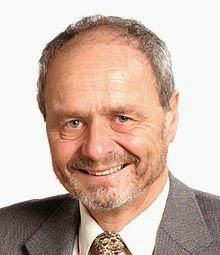 Pierre Jean, who manages the CSA's involvement with the International Space Station (ISS), will be presenting a paper on the "Canada’s Human Presence in Space: Past, Present and Future," as part of the session on government human spaceflight programs. Tim Braithwaite, a CSA liaison office manager for NASA is listed as co-author of the paper, so the presentation will likely to be the best place around to get the real scoop on when CSA astronauts will go back to the ISS. CSA scientist Dr. Wanping Zheng, will be presenting a paper on "KAPVIK – A Canadian Smart Multi-Mission Micro rover for Lunar Exploration," as part of a session on lunar exploration. Oddly enough, representatives from several Canadian rover manufacturers, including Peter Visscher from Ontario Drive and Gear (ODG) and Nick Cristello, from the Neptec Design Group are also scheduled to present at this session, which should provide much insight on the future of the Canadian rover program. Dr. Guy Seguin, who spent the 14 years as a director at the CSA before retiring in 2013, will be presenting a paper on "Synthetic Aperture Radar (SAR) and Disaster Management," as part of the session on international cooperation in Earth observation missions. The session will also include a presentation from CSA manager Thomas Piekutowski on the proposed Atmospheric Limb Sounding Satellite (ALiSS), and would seem to be a good place to get some insight into CSA future goals relating to both Earth imaging and the Radarsat program. IAC presentations are generally made for peer review, academic credit and career building reasons although there are also many disguised pleas for funding and partnerships. It will be interesting to see which of the categories will best describe the underlying reasons for the upcoming CSA presentations. It wouldn't be an International Astronautical Congress without public pronouncements from the heads of the largest government space agencies and the 65th International Astronautical Congress (IAC2014), which will be held in Toronto, Ontario from September 29th - October 3rd, will certainly be following in this tradition. 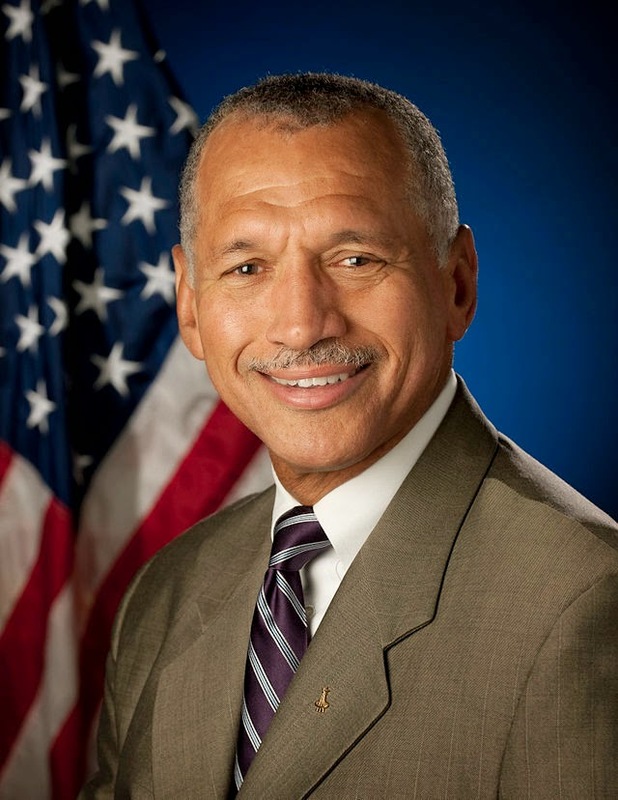 Charles Bolden, the administrator of the National Aeronautics and Space Administration (NASA). Given that each representative will be expected to provide an introductory presentation on the latest developments from their respective agency and then take at least a few questions from the audience, it is assumed that Bolden will talk about why Boeing received so much more money than SpaceX ($4.2Bln USD for Boeing, as compared to $2.6Bln for SpaceX), for a contract to do pretty much the same thing last week, as part of the latest round of the NASA commercial crew program. 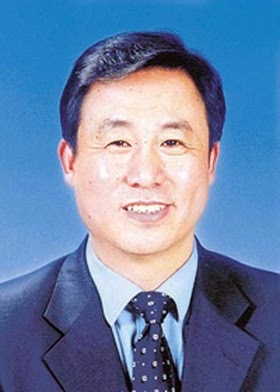 Xu Dazhe, the administrator of the China National Space Administration (CNSA). Coming off the successful International Planetary Congress, another major space conference, which was held Sept 10th to 15th in Beijing, China for the first time, the Chinese leader is likely to be focused on questions of international co-operation and recognition for China's new role as a major space power. 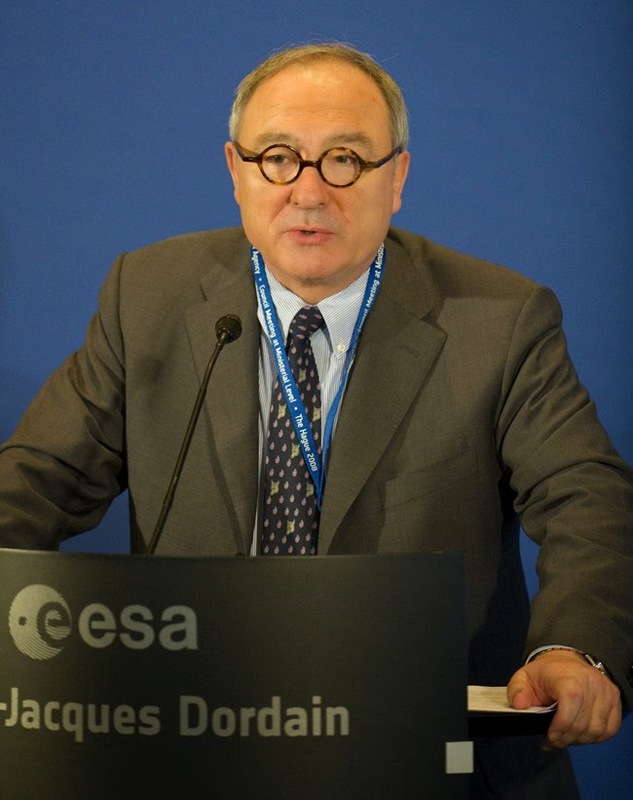 Jean-Jacques Dordain, the director general of the European Space Agency (ESA). He's held the position since 2003, which makes him perhaps a little more experienced than his colleagues at the other space agencies. Dordain will likely face questions over the ESA next generation Ariane 6 launcher and the competition it faces from the US based SpaceX. 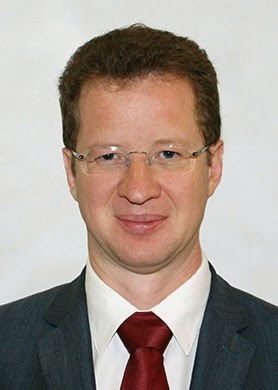 Denis Lyskov, the government secretary and deputy head of the Russian Federal Space Agency (ROSCOSMOS). With ROSCOSMOS head Oleg Ostapenko unable to attend (no doubt for political reasons), the far duller Lyskov, who is considered unlikely to discuss "trampolines" or "space gecko's," is expected to focus on the future expansion plans the agency has been dutifully running up the flagpole over the last year to see if anyone salutes. Walter Natynczyk, the president of the Canadian Space Agency (CSA). Natynczyk, seemingly one of the shyest and most reticent CSA presidents in a long time, will likely keep his comments focused on longstanding Canadian government concerns over "international co-operation" and "collaboration" with the other space agency heads. 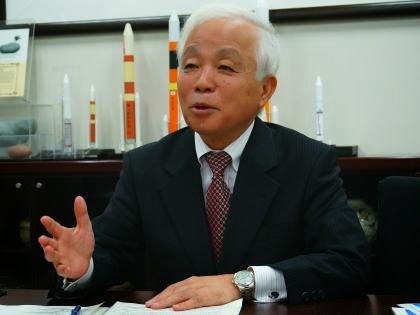 Naoki Okumura, the president of the Japan Aerospace Exploration Agency (JAXA). Well into the second year of the five-year implementation phase of Japan’s updated basic plan on space policy, the JAXA head will likely want to talk the JAXA "application-focused approach" to space system development and the new JAXA small satellite platform, which Japan hopes to sell to other countries. 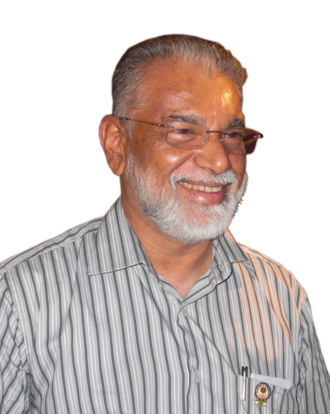 K. Radhakrishnan, the chairman of the Indian Space Research Organisation (ISRO). Expect Radhakrishnan to focus his comments on the ISRO Mars Orbiter Mission (MOM), which should to enter orbit around Mars this week. The plenary will be held on Monday, September 29th from 1:30pm - 3:00pm at the Metro Toronto Convention Centre (MTCC) in Hall F on level 800. It looks like a good show, well worth attending. Richmond, BC based MacDonald Dettweiler and Associates' (MDA) flag has been flying high over the past month with the winning of three large contracts. Those wins testify to the strength of the commercial space industry. The beginning of the most recent string of successes was covered in the September 8th, 2014 Cantech Letter post, "MacDonald Dettwiler has become a “global commercial satellite powerhouse,” says Global Maxfin," which discussed the announcement that US subsidiary Space Systems Loral (SSL) had been selected to provide a communications satellite for BulgariaSat, an affiliate of leading Bulgarian telecommunications company Bulsatcom. On the same day, the company stated that Export Development Canada (a Federal Crown corporation which provides financing and risk management services to Canadian exporters) had completed a $250Mln CDN financing package enabling Spanish satellite operator Hispasat SA to purchase a new communications satellite from MDA. As discussed in the September 19th, 2014 Canadian Manufacturing article, "MDA building $19.8M data system for European Space Agency," the two initial September successes were followed up by the September 19th, 2014 announcement that the MDA UK subsidiary had been granted a contract by the European Space Agency (ESA) valued at $19.8Mln CDN for the development and construction of a Ka-band data relay terminal for the ESA's Columbus module of the International Space Station (ISS). .Most communication satellites operate in the lower frequency C- and Ku-bands and one way to increase the amount of information or data per unit of time transmitted is to use a higher radio frequency. The Ka-band has a greater bandwidth (in other words, it has a higher capacity for data transfer) and allows smaller spacecraft and ground stations. Graphic c/o The Advanced Communications Technology Satellite (ACTS) webpage. The data relay terminal will complement the ISS' existing communication systems and, by using the Ka-band, will provide greater bandwidth and enable faster delivery of scientific data and HD video and images between the space station and ground stations. MDA’s continued growth can be viewed as a result of its 2012 acquisition of California-based SSL. MDA's $875Mln USD ($963Mln CDN) purchase of SSL in 2012 enabled access to an extensive list of clients in both the US and European markets including AsiaSat, DirecTV, EchoStar, Eutelsat, Globalstar, Hispasat, Hughes Network Systems, ICO Global Communications, Intelsat, Japan, MTSAT, JSC Gascom, Loral Skynet, NASA/NOAA(GOES), NBN Co, Optus, PanAmSat, QuetzSat, Satmex, , SES World Skies, SES S.A., Sirius Satellite Radio, SpainSat, Star One, Telenor, ViaSat, WildBlue, and XM Satellite Radio. In essence, the SSL acquisition has transformed MDA into a commercial satellite powerhouse and telecommunications industry leader. Other contributing factors to MDA's success include its aggressive bidding approach and continuing expansion of its RADARSAT program, wrapped around the RADARSAT Constellation Mission (RCM), set for launch in 2018. MDA's continued success in difficult economic times is a testament to the company's farsighted and pragmatic decision-making. Time will tell whether this success will continue through the coming decades. Fred Ordway in 2013. Photo c/o Apogee Books. We all contribute as best we can to build the world we live in and the members of the Canadian Space Society (CSS) are certainly no exception to this rule. 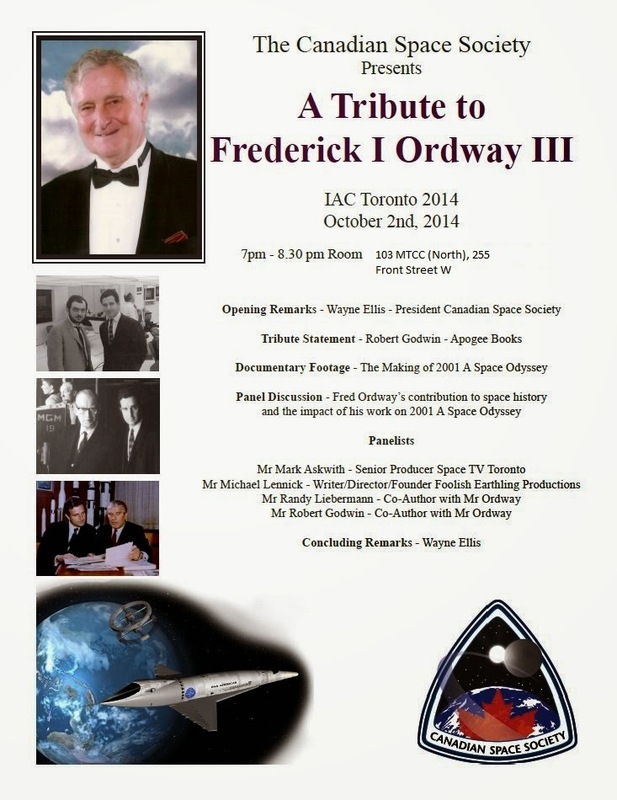 One of their major contributions to the fast approaching 65th International Astronautical Congress (IAC2014), which is being held in Toronto, Ontario from September 29th - October 3rd, 2014, will be a small tribute to the man who never missed an IAC congress ever, at least until his untimely death earlier this year. 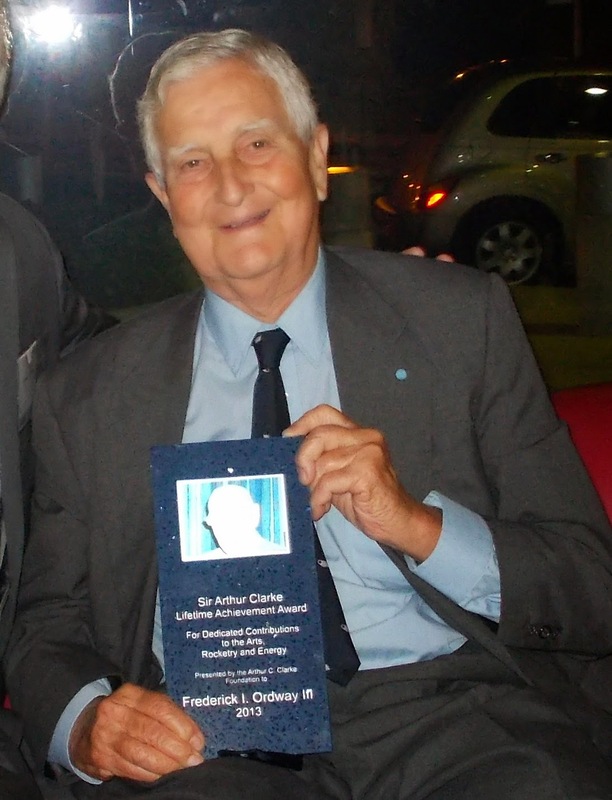 As outlined on his biography on the CG Publishing website, Frederick Ira Ordway, III (April 4th, 1927 – July 1st, 2014) was a prolific scientist and author of visionary works on spaceflight who often wrote in collaboration with the giants of the first great age of spaceflight. They included Werner von Braun (his boss at NASA in 1965 when Ordway asked for a leave of absence to work with film director Stanley Kubrick on "2001: A Space Odyssey"), Ernst Stuhlinger (a German colleague of von Braun, also brought to America as part of the post World War II "Operation Paperclip") and Arthur C. Clarke, whom Ordway met in 1950 at the very first IAC congress in Paris, France. The tribute will be held in the Metro Toronto Convention Centre (MTCC) room 103, north tower on October 2nd, and will begin at 7 pm. 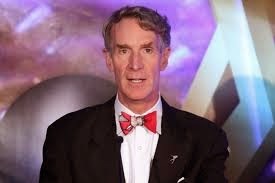 Planetary Society CEO Bill Nye. Photo c/o WireImage. Of course, that's not the only activity during IAC2014 to which the CSS will contribute. According to CSS president Wayne Ellis, the CSS has also organized a meet and greet mixer on September 30th, 2014, for Canadians and members of the International Astronautical Federation (IAF) Space Societies Committee (SSC), which represents space societies, museums and professional associations throughout the world. Current members of the SSC committee include Ellis, past CSS president Kevin Shortt and Planetary Society CEO Bill Nye (the science guy, who will also be part of a panel discussion on "The Canadian Space Program Today and Tomorrow," on October 1st, 2014 at the University of Toronto Hart House) plus quite a few others. As well, the CSS will be hosting a space art exhibition from September 30th - October 3rd, 2014 to explore how space and its related technologies are being used to transform art and culture and inspire a new generation of innovators. A rendition of the NASA Orion Multi-Purpose Crew Vehicle (MPCV) in low Earth orbit by Aldo Spadoni. It's from the "Revolutions: The Inexorable Evolution of Art" exhibit being displayed at the MTCC from September 30th - October 3rd, 2014 as part of the CSS contribution to IAC 2014. Titled "Revolutions: The Inexorable Evolution of Art" and representing the work of over fifty acclaimed artists, the presentation will feature a variety of art derived from space technologies, designed for micro-gravity environments or inspired by space developments. The exhibition has already been presented in Calgary and Ottawa to positive reviews and is expected to tour other Canadian cities in 2015. The exhibition will be held in conjunction with "Canada's 50 Years in Space," a display developed in 2012 by the Canadian Embassy in Washington, DC and composed of images and memorabilia detailing Canada's exploits in space since 1962. Part of the presentation on "Canada's 50 years in Space," which will be shown as part of the CSS contribution to IAC 2014. Image c/o DFATD. According to Ellis, there are also CSS members scheduled to present papers on a variety of topics at IAC 2014 along with a CSS booth, highlighting local space activities in the IAC Canadian pavilion for the duration of the event. Just don't ask Ellis to slow down to explain everything about what's going on and where the events are located. It looks like he's already contributing the best he can. Chris Hadfield. Photo c/o Paul Chiasson/ Canadian Press. Several events over the past few weeks have highlighted China's growing influence both in space affairs and the world at large. For example, the International Planetary Congress, a major space conference, is being held Sept 10th to 15th in Beijing, China for the first time. The event is organized by the Chinese National Space Administration (CNSA) in co-operation with the Association of Space Explorers (ASE), a group which represents some 400 astronauts/cosmonauts from 35 nations. The Congress' theme is "Cooperation: To Realize Humanity's Space Dream Together." Chinese astronauts (called Taikonauts) will present reports from their previous spaceflights and China's first astronaut, Yang Liwei, will present an invitation to the international community to join China in building its upcoming space station. Last summer, Chinese officials stated that China's 60-ton multi-module manned station is being fast tracked, with the first module to be launched in 2018 (two years earlier than previously announced). Additional modules are to be launched in 2020 and 2022. As stated in the September 10th, 2014 Canadian Press article "Chris Hadfield to attend international space conference in China," retired astronaut Chris Hadfield will be attending as Canada's sole representative and will participate in a discussion panel with Chinese taikonauts on common space mission experiences. 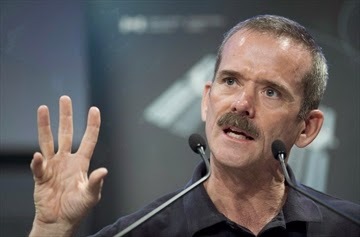 According to the article, Hadfield, a former ASA president, said that he hopes that the Congress will spur a new round of international cooperation in space and, while China's long term goals would include a manned Lunar base, the best model for that might be the existing international partnerships which helped to build the International Space Station (ISS). Even if they (the Chinese) don't make a direct overture, it is still 100 people who are quite influential in the space business having a chance — without a specific political agenda — to get together and talk about opportunities and build further relationships. Hadfield's remarks come on the heels of his July 2014 visit to the United Arab Emirates (UAE), as outlined in the August 11th, 2014 post "Hadfield in Emirates, Russia in Lather & UrtheCast in Orbit," when he publicly stating his interest in helping the UAE to set up its own space agency and launch a Mars probe in 2021. Also attending the conference are some 30 space travelers from the US, including active NASA astronauts. The Americans are attending as private citizens and ASE members, however, and not as official NASA representatives. NASA is prohibited by US law from space cooperation with China. 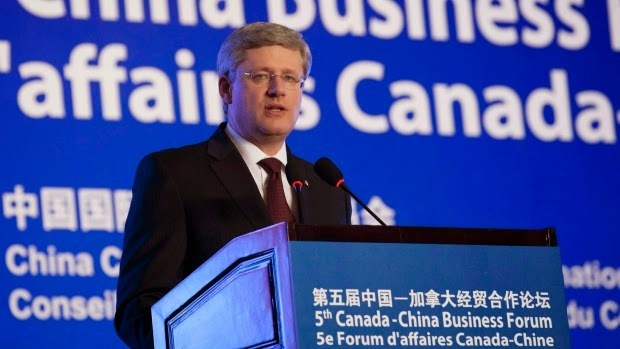 Canadian Prime Minister Stephen Harper at the 5th Canada China Business Forum, which was held in Beijing, China in February 2012. As outlined in the September 12th, 2014 Canadian Press article "Canada-China investment treaty to come into force Oct. 1," the Canadian PM will revisit China in November 2014. Photo c/o Canadian Press. Stronger ties with China in space could very well flow from Canada's now-stronger economic links with China. As outlined in the September 12th, 2014 National Post article "Ottawa ratifies foreign investment deal with China despite tensions," the Canadian government last week recently ratified the Foreign Investment Promotion and Protection Agreement (FIPA), a controversial 31-year foreign investment agreement with China. Critics of FIPA say that the agreement will grant China control of Canada's national resources while blocking Canadian businesses access to protected Chinese industries. FIPA advocates claim that the agreement will allow Chinese capital to flow into Canadian industry, spurring job creation and growth in a time of economic difficulty. History has shown again and again that leadership vacuums are inevitably filled. Should the space programs of the US, Europe and Russia continue to remain in stasis, others are ready to step in and fill the void. The Canadian Space Agency (CSA) has finally decided to develop a larger pool of Canadian post-secondary researchers able to work with RADARSAT-2 data. 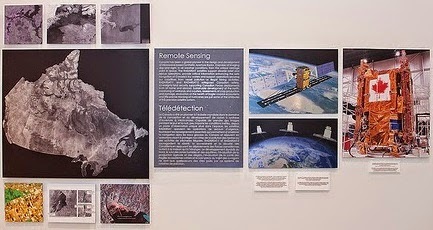 Part of a 2012 presentation focused on Space Utilization: Space Applications Linked to Government Priorities/ Departments available online at the CSA website which discussed RADARSAT and other Earth imaging data and its uses. Graphic c/o CSA. As outlined in the September 4th, 2014 announcement of opportunity (AO) on the CSA website under the title Science and Operational Applications Research for RADARSAT-2, the AO is "being offered to Canadian universities and post-secondary institutions in fulfillment of the Earth Observation Applications and Utilization (EOAU) Division's goals to support the training and development of highly qualified people (HQP) in the field of space-borne SAR techniques and methodologies using RADARSAT-2 data, to foster research in the development of RADARSAT-2 EO products and services, and to facilitate access to RADARSAT-2 data and increase its use." ... the education and use of SAR data within Canadian universities remains limited despite Canada's reputation in this technology at the international level. 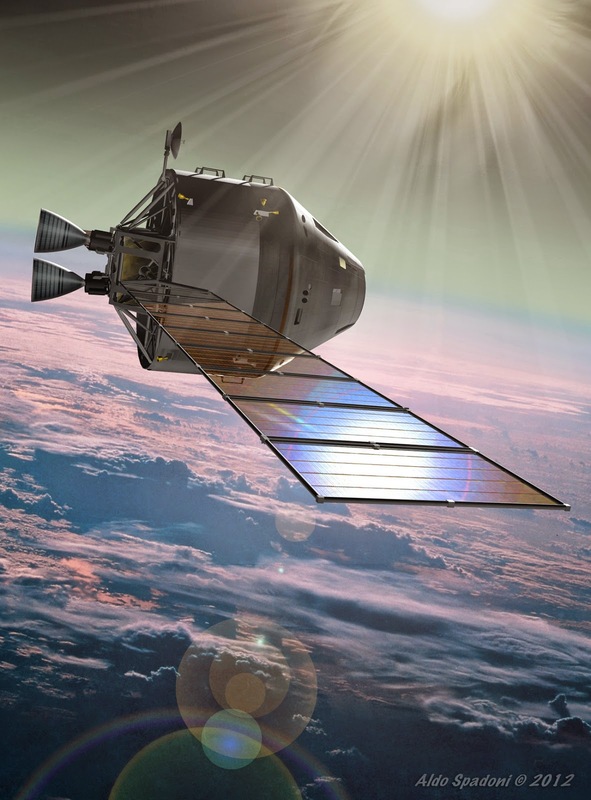 As discussed in the August 25th, 2014 post "Open Source Development of Earth Imaging Data Applications," the CSA has recently been coming to grips with the growing influence of open source development methodologies in the processing of Earth image data. The announcement that the CSA is looking to develop a larger pool of Canadian post-secondary researchers able to work with RADARSAT-2 data suggests that the Federal government is finally aware of the options relating to open source development. The deadline for submitting to the new proposal is October 13th, 2014. The group of Nova Scotia space entrepreneurs calling themselves Open Space Orbital (OSO) might only have managed to raise $5,568 of their $100,000 CDN goal during their recently concluded Kickstarter campaign to fund Canada's first orbital micro-satellite launch vehicle, but the lessons learned from the effort will help steer the team towards long-term success. 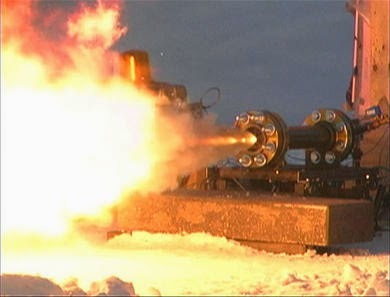 A static test of a 1,000 lbf thrust hybrid rocket test engine developed during the Ansari X-Prize competition by Canadian competitors in 2004. According to the OSO website, rocket designer Adam Trumpour was a propulsion group volunteer for a Canadian team that competed in the X-Prize competition and a founding member of Continuum Aerospace, an engineering R&D and consulting group, before joining OSO as the designer of its proposed Neutrino rocket. Photo c/o OSO. As outlined in the August 4th, 2014 blog post, "New East Coast Rocket Start-up Announces Kickstarter Campaign," the thirty-two day campaign ran from August 4th to September 5th, 2014 and attempted to raise money for what OSO hoped would be the prototype engine for Canada's first orbital launch vehicle (called Neutrino), a market analysis, an updated business plan and legal services. In a followup interview with the Commercial Space Blog, OSO Founder and CEO Tyler Reyno said that, although the team was not able to meet their funding goal, they are nevertheless pleased with the results. Reyno said that the publicity generated by the campaign has enabled the OSO team to forge new relationships with industry and pave the way toward tapping other funding sources. Reyno stated that his team will now be applying for various Canadian federal grants and courting private investors. Among private funding sources, Reyno mentioned Futurpreneur Canada, a national non-profit organization dedicated to fostering young entrepreneurs aged 18–39. Futurpreneur provides business resources, start-up financing and mentoring to young entrepreneurs to enable them to launch and sustain successful businesses. Take the time to build up a following on social media prior to launching a Kickstarter campaign. OSO's month-long campaign was unable to generate much word-of-mouth hype or public debate about the Neutrino launch vehicle's potential to shape Canada's space future. Indeed, the most successful Kickstarter campaigns (including the Pebble smart-watch, the Oculus Rift virtual reality headset, the Ouya gaming console, GoldieBlox engineering toys for girls and Golden Age) all held aggressive social media campaigns prior to beginning. The awareness and goodwill gained via social media fueled these projects' success. Develop relationships with universities prior to starting fundraising. Reyno frankly admitted that he had hoped that OSO would receive more support from Canadian universities than it did. Although confident of Canadian universities' interest in a homegrown Canadian launch system, OSO failed to reckon with academic bureaucracies and their often slow decision-making processes. Some universities may simply not have had the time to make their interest known. Although OSO's Kickstarter campaign proved unsuccessful, it is important to remember that the early history of rocketry was riddled with setbacks (not to mention explosions). A decade ago, a small startup called SpaceX announced its plans to build rockets cheaply and more efficiently than established players, a plan for which it was ridiculed and ignored for years. The road ahead for OSO may be difficult, but Reyno and his team possess the best competitive "edge" of all; the ability to learn from mistakes and press on towards success. Not every space or missile launch program requires hundreds of millions of dollars to create and sustain. As described in the 2012 Franco - Lebanese documentary film, the Lebanese Rocket Society, all you really needed, at least back in the starry eyed 1960's, was a certain stoic stubbornness, a dream you could believe in and a modicum of good luck. The movie, an official selection of the 2012 Toronto International Film Festival, tells the story of what was originally known as the Haigazian College rocket society, founded by teacher Manoug Manougian in 1960. 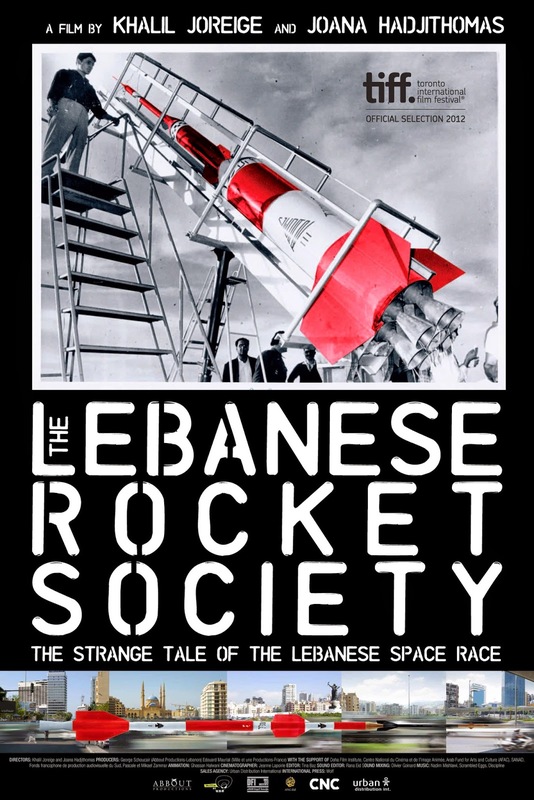 Over a period of only six years, the society grew chapters across Lebanon, re-branded itself as the Lebanese Rocket Society and drew the attention of the entire Arab world when the club, still under Manougian's directorship, become the official Lebanese government space program after then Lebanese President Fuad Chehab began granting modest financial assistance. The secret to the success of the society was the development of the Cedar series of long range rockets. As outlined by Norbert Brugge on his Space Launch Vehicles of the World website, the culmination of the program, the Cedar-8 two stage rocket which was launched successfully on August 4th, 1966, had a maximum altitude of 110 km and a range of well over that. All of which brought down a great deal of attention on the young teacher at a small Arab college in the months leading up to the June 1967 Arab-Israeli war. As to whatever happened to the Lebanese space program and Manoug Manougian? To find that out, you'll just have to watch the movie. Enjoy.